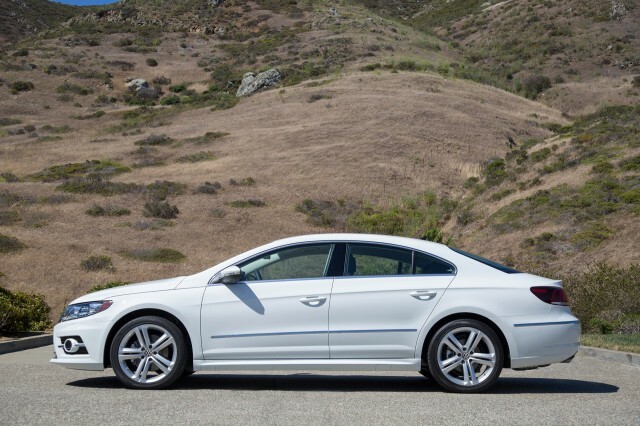 The Volkswagen CC is a four-door sedan that joined the VW lineup in the 2009 model year. It's what VW calls a "coupe-like" sedan that slots between the Jetta and Passat sedans in its current U.S. lineup. Now in its ninth model year, the CC shares underpinnings with the previous-generation Passat sedan, which was replaced in the 2012 model year with a newer, larger model built in Tennessee. The four-door coupe, in fact, was initially known as the Passat CC—although the two never shared any body panels. 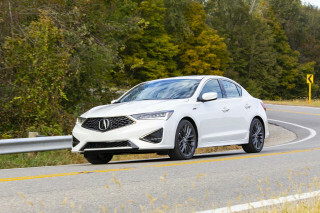 It competes against fashion-forward four-doors in the near-luxury class, including the Audi A4, Acura TLX, Lincoln MKZ, Nissan Maxima, and Volvo S60. The CC is likely to be discontinued after the 2017 model year, when a new model expected to be called the Arteon arrives. For 2017, meanwhile, the CC sees its trim lineup halved and its 6-cylinder engine has bitten the dust. The CC, with frameless windows in its four doors, has a sleek roofline that mimics the styling of the much more expensive Mercedes-Benz CLS-Class. Its swept-back front end, sculpted body, and smoothly flowing roofline still set it apart from the more square-cut and upright Passat, giving mid-size VW sedan buyers two polar opposites from which to choose. As is the case with most of the so-called four-door-coupe set, the CC's pretty roofline has an associated cost. Rear-seat head room suffers, which can cause problems for tall adults on long trips—it's okay for short jaunts or short people, who are the most likely rear-seat inhabitants anyway. The swoopy CC also has a low driving position, which can be off-putting to some, especially vertically challenged drivers. 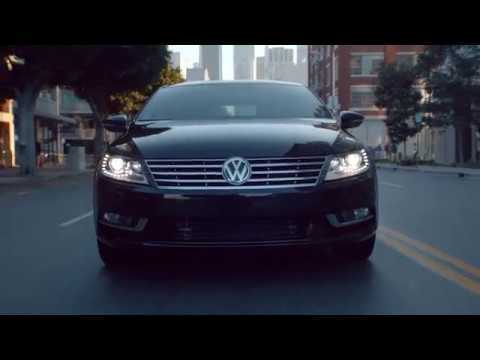 Even with those trade-offs, the CC makes up somewhat with its rich materials, the cabin feeling a good step up in quality compared to the larger Passat sedan. Power for most versions of the CC comes from an engine that should be familiar to anyone fond of recent VW or Audi vehicles. 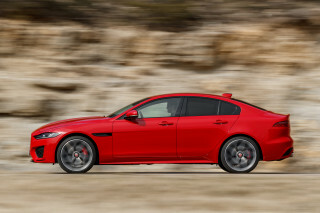 The turbocharged 2.0-liter inline-4 known as the 2.0T makes 200 horsepower. Rare among mid-size sedans, the CC offered a 6-speed manual transmission as standard equipment, while a 6-speed automatic was an option. Through 2009, the CC used a conventional 6-speed automatic, although from 2010 the self-shifting option has been the sportier automated dual-clutch. Fuel economy is good for a sedan this size, at 21 mpg city, 32 highway. Through 2016, VW also offered a 280-hp VR6, a V-6 engine designed with a very narrow angle between its cylinder banks for compact size. It came only with the automatic option. In reality, though, the VR6 didn't feel notably faster or more powerful than the turbo four. But to get VW's all-wheel drive—dubbed 4Motion—you had to opt for the VR6, and that cost buyers substantially more up front and at the gas pump. Safety ratings for the CC haven't been perfect on all counts. It has received all "Good" scores from the IIHS except for a "Marginal" in the new small front overlap test. It has never been rated by the NHTSA except for a four-star rollover score. Active-safety features like adaptive cruise control, lane-departure warning, and automatic crash braking are available in later years, only on the top-of-the-range version for a particular model year. 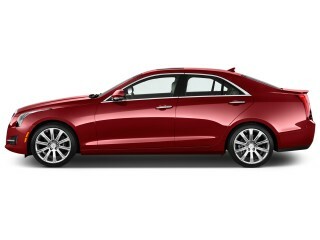 Overall, the CC is a capable, nice-handling sedan, with great ride quality—firm yet compliant. To some, the steering is a bit light on feel, but overall, the CC typifies Volkswagen's firm, "German engineered" handling and rides and drives well. The first big upgrade after the 2007 launch came in 2010, when the 6-speed automatic was replaced across the board by VW's automated manual. Bluetooth and an enhanced audio interface were made standard that year as well. Then in 2013, the Volkswagen CC got a more significant update. 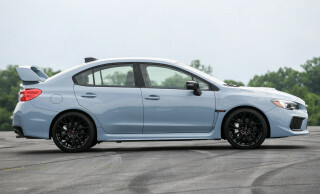 It gained a new grille and front air dam, LED running lamps, and standard bi-xenon adaptive headlamps on the outside. Inside, VW refreshed the trim and cabin decor, and replaced the old two-position back seat with a three-position bench containing a fold-down armrest. Prices also rose appreciably. For 2014, Volkswagen at last began to allow buyers to pair the more fuel-efficient engine with the Executive trim, bringing with it some of the top features like premium sound, massage seats, and leather upholstery. Sirius XM Traffic, a motion-activated trunk opener, and keyless ignition were added to that, while a standard rearview camera system was added for most of the model line. For 2016, minor updated included a new Trend trim level, and an upgraded infotainment system with a USB port. In 2017, VW simplified the CC's trim levels from six to three, eliminated the "VR6" 6-cylinder engine and all-wheel drive, and moved its active-safety features to the top-of-the-line 4-cylinder model from the discontinued V-6 version. Of all the different CC variations, we recommend the base CC Sport, which comes well equipped with automatic climate control, heated seats, and an eight-speaker sound system. Must VW service is Bad, but the 2012 VW CC EXE V6 is a good Car. Great style, performance and comfort. Love the 2.0T!